PixelMache a Social Media Machine! 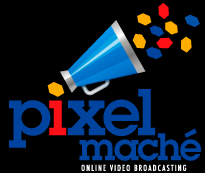 Here's a sober Social Media tip that demonstrates how video blogging via our award winning Pixelmache.tv product can build your brand responsibly. I shot, branded, published and distributed this video in less than half an hour. Interested in making your business fly? Teleworking - Are we ready? Our principal consultant, David Abrahams (a.k.a. 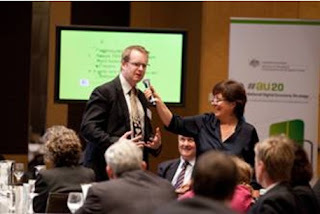 digitdave) was invited to attend the Telework Forum in Sydney recently. The discussions opened his eyes to how beneficial the high-speed broadband (NBN), could be to many Australians. "The technical and cultural shift in how we work is one of those classic examples of how thousands of businesses doing seemingly small things add up to a huge difference for the country". Dave cites how a couple of his employees already telework and explains how why he thinks it is a way of keeping "valued staff even if their circumstances change". Unfortunately his staff members belong only to a small percentage (6%) of lucky Australians that actually telework. Research suggests that some people are commuting up to 6 hours daily and there will be a strong desire to reduce the amount of physical commuting. He suspects that research currently being run by the University of Newcastle will confirm his opinion. The Minister for Broadband, Communications and Digital Economy Stephen Conroy was also present at the forum and said that Australia is quite down in the ranks of teleworking nations. About 10% of US employees telework at least once a month, and more in parts of Europe. In Norway, which in many ways is similar to Australia in economic and social terms, it is close to 20 per cent. They obviously realised years ago that small benefits for individuals can mean big benefits for the nation. According to Access Economics, if just 10% of Australia's workforce teleworked 50% of the time, Australia would collectively save about 120 million litres of petrol, reduce traffic by 5%, delivering an overall saving of $470 million and 320,000 tonnes of carbon dioxide. Annual productivity gains of more than $1.4 billion could have been realised. Start small and grow your own teleworking initiatives. Trial low quality video conferencing in anticipation of a high quality NBN roll out. Start defining workers by outcomes, not time at a particular desk. To him, all this means a more productive workforce and ultimately a more profitable local business... a good deal for all. Online marketers, primarily those that breathe and live Google woke up to a small surprise in the form of a video released by the search engine giant. The video did not reveal how Google actually ranks websites as many news publications out there might be eluding to. It does however confirm how frequently Google updates it's search algorithm and the procedures they take before releasing these updates to the public. Amit Singhal confirmed that "just last year, we launched over 500 changes to our algorithm. So by some count we change our algorithm almost every day, almost twice over". Scott Huffman, Google Engineering Director, continues by stating that they "analyse each potential change very deeply to try to make sure that it's the right thing for users". He adds, "In 2010, we ran over 20,000 different experiments. All the data from the human evaluation and the live experiment are then rolled out by a search analyst". This video discusses how Google identifies, tests, and implements tweaks to their algorithm in their quest to server it's users with the best content that they are searching for. As an example, the video then looks at the reasoning and test procedures that affected the "did you mean" and "showing results for" change earlier this year. How often do you 'Google' each week? Almost all of these searches are accompanied by a series of paid advertisements, aka AdWords. These are the online advertisements we see wrapped on the top and right hand side of each Google search. However did you know AdWords are everywhere online. Keep your eyes open and you'll see them on third party websites, inside emails on maps and mobile phones and even on YouTube videos. Though there are only a small amount of businesses that are represented in AdWords listings In Australia only about 1% of businesses use Adwords campaigns. Most of these are big businesses and interestingly businesses mostly based outside of Australia. See the image below, no local results for a very popular search term. We at OI often wonder why so many businesses don't see the opportunities to advertise in the Adwords platform space. The statistics are clear; people are spending more and more time online every month, they are searching for products and services more and more. They are reading newspapers and watching broadcast TV less and less. Yet advertisers are failing to see the opportunities online. The Australian Financial Review this week put a focus on these AdWords in an article 'Click here for top dollar'. Are Aussie businesses technology averse? We don't think so. We think that most Aussie businesses are simply unconvinced that these AdWords and related DisplayAds are working alternatives to print media. We also think that setting up an Adwords campaign is actually quiet complex and very time consuming for what they may or may not receive. Fair cop we reckon. Remember AdWords are a so called PPC or Pay Per Click system, where the customer agrees on a click maximum limit (say 10 cents) and a per month maximum PPC spend. Inside these constraints you compete in an automated auction with other advertisers in your chosen location and industry sector for AdWords placements. There are a host of other options that in theory let you target age groups, gender, income levels and even street level focusing. There are also options that include inclusion on maps, email, YouTube channels and third party websites, such as industry or popular news websites. Coming up with the 'creative' text is also an art, as well worded ads attract many more clicks than poorly worded ones. OI has been working on this for some time and has recently just been accepted as a Google Engage Partner, something that helps educate us on the ins and outs of advertising in the online space. We recently attended the inaugural partner event at Google Australia HQ. I'm pleased to say there was very little sales pitch and a lot of education and learning around the products and services. Something that we can now pass onto our clients and partners. Expect to see a heap more targeted advertising in the AdWords space very soon. An incredible set of innovations have washed over us in the last 20 years; Email, The Web, Mobile Phones, eCommerce, Social Media all have spawned industries, companies and opportunities that were not even conceptualised in the world we occupied previously. Take a quick look at the current waves hitting the beach; YouTube, FaceBook, Twitter & Mobile Apps. All have some surprising similar traits. They offer innovative groups of people a platform for real and lasting change if they can adopt them for their own purposes. This post was originally modified from the Regional National Broadband blog with thanks. Create good online content - generate interesting and engaging information! Get found on search engines - get where we all search for products and services! Create or improve your online sales channel - Make it easy and make it a habit. The big domestic retail companies are on the offensive and trying to lobby the government to effectively restrict offshore sourced online sales. While this appears logical, we think it’s like swimming against the tide. Gerry Harvey is a great Australian businessman and philanthropist but sadly he typifies much of the national business attitude to doing business online: “It’s a fad that people will get over”. Well, hello guys the train has come and is leaving the platform. You need to jump on board. 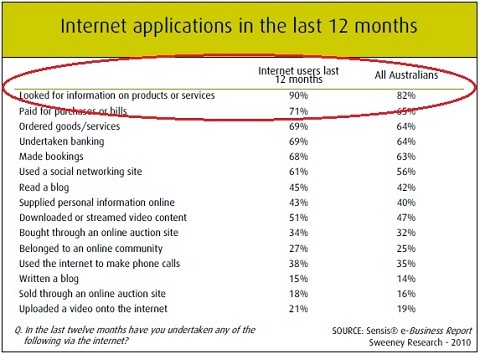 Australian retailers still only sell about 2% of their goods online, this is surprisingly low when you consider that Australian consumers are some of the fastest adopters of technology in the world. Weird when you think most people still are forced to buy electronic equipment in a big retail store that are in turn paying dearly for floor space, their aisle walking staff and such abominations as letterbox advertising. A wonderful paradox don’t you think. 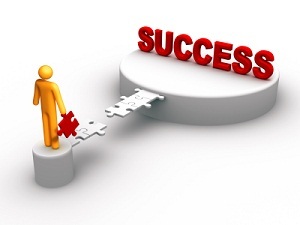 There are of course exceptions to national online business successes. Take our banks for example. There’s no hiding the fact that ‘our’ banks deliver a huge amount of their service online, which is heavily used by most citizens. This is helping financial institutions deliver huge savings and dare I say much extra income to their share holders et.al. So take a leaf out of our banking sector’s business manual, invest online. Now you may not have budgets like a bank, but you can do something progressive. Use our three point guide to help you. You may not have a budget for this or have other plans or providers, though you should know that we at Organise are here to help when you’re ready. Organise Internet is one of those rare mid-tier online development companies that deliver high quality online products and services with a great success rate. Our staff are full-timers, they know their stuff, they work well as a team, they’re a mix of older hands and young guns. We are NOT web designers, we leave that to our excellent graphic partners, we ARE however top notch advisers, programmers, constructors and testers of the online world. So this year move ahead, work with us in making your online presence profitable, professional and visible. If you wish to make us part of your business progress this year please contact us. You can send us an email, or call us on 1300 30 17 18. Here again is the Organise Internet three step new year’s resolution guide. Create good online content - interesting and engaging information! 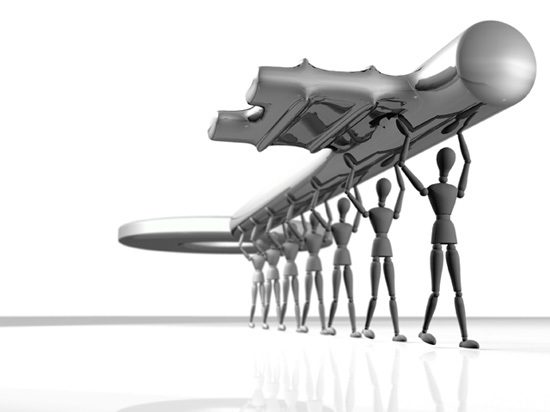 Get found in search engines - go to where we all search for products and services! Why not copy, paste and print these simple goals.